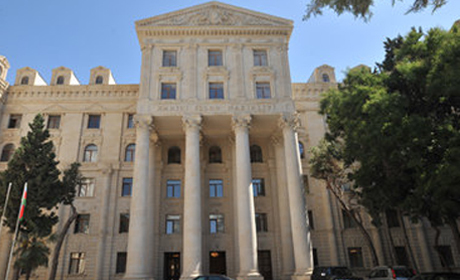 The OSCE MG co-chairs should urge continuation of substantive talks to change the status quo of the Nagorno-Karabakh’s occupation, which is unacceptable and unsustainable, Hikmat Hajiyev, spokesman of Azerbaijan’s Foreign Ministry, tweeted May 20. Hajiyev was commenting on a statement released May 20 by Richard Hoagland, the US co-chair of the OSCE MG, regarding the recent incidents on the contact line between the Armenian and the Azerbaijani troops. Hajiyev went on to add that the illegal presence of the armed forces of Armenia in the seized lands of Azerbaijan is the main reason of ceasefire violations and tension.